Melt butter in a large saucepan over medium low heat. Stir in salt, molasses, and cinnamon. Add marshmallows and stir constantly until marshmallows have completely melted. Fold in Cinnamon Toast Crunch™, stirring until evenly coated. Pour mixture into buttered dish. Spread mixture evenly into pan with a buttered spatula. Allow to cool several minutes, then cut while still slightly warm. Using your hands, round edges of cut squares by cupping your hands around the edges and gently pressing. Allow to cool completely, then pipe cream cheese frosting over tops of treats. Dust the tops lightly with cinnamon. Is there anything better than a gooey, marshmallow-y Rice Krispies Treat? There just might be! 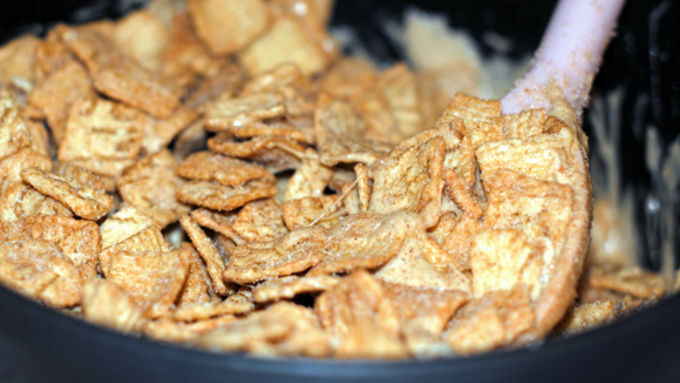 Think Cinnamon Toast Crunch! I did a little experimenting in the kitchen and discovered that Cinnamon Toast Crunch makes an excellent base for a Cinnamon Toast Crunch Treat that looks just like a cinnamon roll! Did this just blow your mind? I thought so. Allow me to explain. First, let me give credit where credit is due. 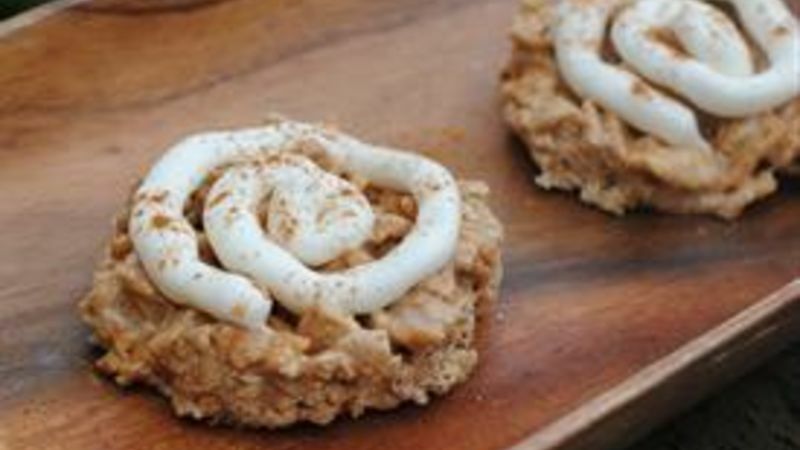 I saw this brilliant Cinnamon Roll Rice Krispies Treat concept on the Cooking Classy blog, and I had to give it a whirl for myself. 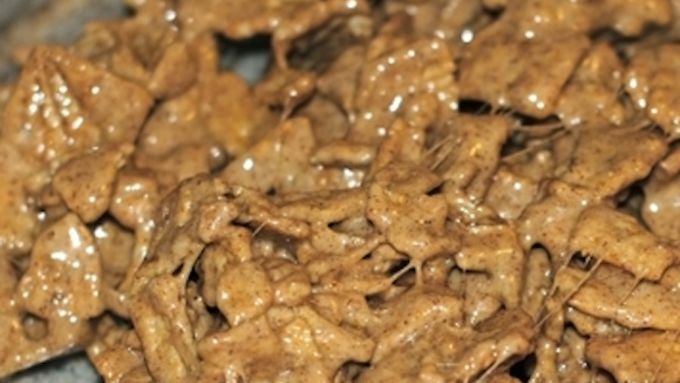 Instead of just adding a cinnamon kick to the classic Rice Krispies Treat recipe, I used Cinnamon Toast Crunch for the cereal to make my Cinnamon Toast Crunch Treats. Similar to the Rice Krispies Treat recipe, this one calls for cereal and marshmallows and it has a little extra kick with cinnamon, molasses and vanilla extract. 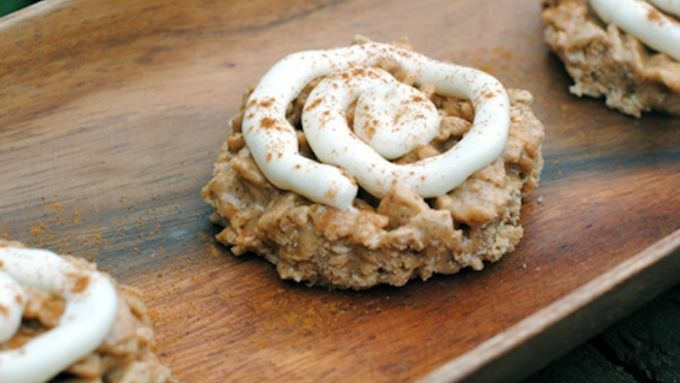 All you have to do is mix it all together for a cinnamon-y taste that is out of this world! YUM! I’m telling you, make this for breakfast... bring it to a party... just MAKE IT! Taking another note from Cooking Classy’s recipe, I used cream cheese frosting to pipe swirls on top of the treats to resemble cinnamon rolls. Score! This variation on the Rice Krispies Treat makes me wonder what other cereals can be turned into a super yummy marshmallow treat. Honey Nut Cheerios? Check. Golden Grahams? No doubt that’d be delicious. Fiber One? A little outside the box, but why not? Get in your daily fiber in a delicious way! So have a little “cinnamon roll” with your coffee; I promise this unexpected treat will improve your morning! More Cereal Treats Breakfast or dessert, cereal makes the perfect treat.